We sit down with the man behind Palihouse and Palihotel to talk about his new Santa Monica hotel and his favorite things to do in Los Angeles. 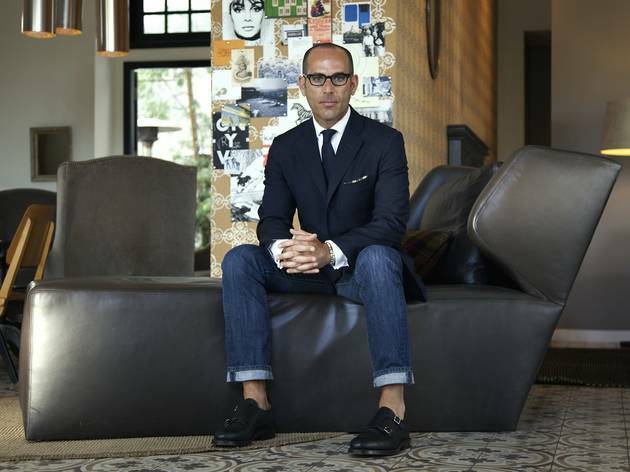 If you don't know the name Avi Brosh, you surely know his charming-meets-cool boutique hotels. 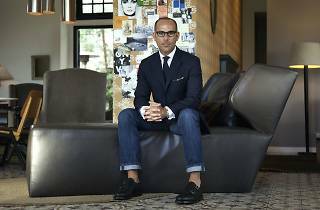 He's the man behind the Palihouse, Palihotel and the recently opened Palihouse Santa Monica. With an eye for design—we picked Palihouse's lobby lounge is one of the best hotel bars in the city—and taste for culinary talent (Brian Dunsmoor and Kris Tominaga of Palihotel's the Hart & the Hunter were nominated for Chefs of the Year) we think Brosh has the Midas touch in this town. And with another Pali property slated to open next year in Miami's South Beach, all bets are on for a winning streak. Time Out Los Angeles: Palihouse Santa Monica just opened. Tell us about the property and how it came about. Avi Brosh: I like to say that I didn’t find the building, but that the building found me. The owners had the building for 40 years and wanted to sell. It’s a stunning building with pedigree, boasting architecture of the 1920s. The question was “Who in town or anywhere knows how to design and develop a product?” Once you run through who all the people who could and who would do the best job on the property, my name was at the top of the list. And I, teamed up with different people, was the winning bidder. Time Out LA: Tell us about the design. Avi Brosh: We didn’t mess with it too much. We embraced the original details in the overall design aspect, keeping and bringing out the best design components. We wanted to show how they relate to today and put our own spin on it. We have a pied-à-terre mentality and a residential sensibility in our design. We like a bohemian, European, urban vibe. Palihouse Santa Monica is close to the beach, so we wanted to suggest an urban beach place. Fundamentally, we have the same aesthetic for all of our properties—a residential feel and neighborhood-style space. We’re not trendy in the design perspective. With every location, I curate the different kinds of ways that the different design pieces feel organic in the mixing and matching. Time Out LA: How do you pick each neighborhood? Avi Brosh: Hotels are amenities to neighborhoods and the best ones service the community. I want the hotel to be the local inn, where people from the community come in and become a fabric of the neighborhood. Palihotel is the only hotel on Melrose Ave and it’s become the hub of that area. It has a neighborhood style that’s close to a residential area and fits in our point of view. Santa Monica is the next iteration of that. Time Out LA: You're always so stylishly dressed. How would you characterize your personal style? Avi Brosh: I wear the same thing everyday and have the same combination of clothes: shirt, ties, a pair of jeans, a pair of lace up brogues and blazer. It’s my own personal sensibility and my version of a uniform. Whether it’s a man or a woman, I appreciate being connected to your own personal style and just beaming in it. I love it when women look like women and feminine, like Grace Kelly. Time Out LA: We love the Hart & the Hunter at the Palihotel. How did the partnership with chefs Brian Dunsmoor and Kris Tominaga come about? Avi Brosh: I live on Abbot Kinney and came in one night to Wolf in Sheep’s Clothing, Brian and Kris' former pop-up. My girlfriend and I looked at each other and thought, “This is it.” This is the vibe we want, the people, the whole thing. Brian and Chris were winding down their run and we brought them in and made them an offer they couldn’t refuse. I was a customer first. Time Out LA: Favorite places in Venice? Avi Brosh: I get asked what my favorite places are all the time, so we created an app called Palifornia, which launched last month. I like to get up and go spinning at YAS, then go to the Tasting Kitchen for brunch. I love their sticky bun. I like to say that I get one for the table, but I don’t like to share. I also like the chicken and waffles and the drinks are great. I’ve had so many Bravehearts there. In the afternoons and early evenings, I go to Nikita in Malibu. It’s a bit wankerish but they have an amazing deck. I also really liked Salt Air, in the space where Capri was. Their peas on toast and olive oil-poached salmon were great. Time Out LA: I would imagine you’re a hotel snob when you travel. What are some hotels you love? Avi Brosh: Not surprisingly, I like hotels that try to do what I do—places that are independent in spirit and connect to the neighborhood. I stay at the same places over and over. In New York, the Bowery Hotel does a great job. It’s amazing for the neighborhood and it has the right amount of amenities. I love Hôtel Costes in Paris—its music, food and crowd are all good and still relevant. People like luxury, but I’d rather be in place where I feel like I’m in the city that I’m in.